The MP5143, pistol grip blow gun is stylish and functional. It allows you to reach into tight spots with a forceful, channeled stream of air. Varying trigger pressure controls air pressure at the tip. Blow Guns are a necessity for every shop. They are used for clearing debris from a work space and drying wet surfaces. This pistol grip blowgun has a trigger to control airflow to gun tip and a narrow 3 in. 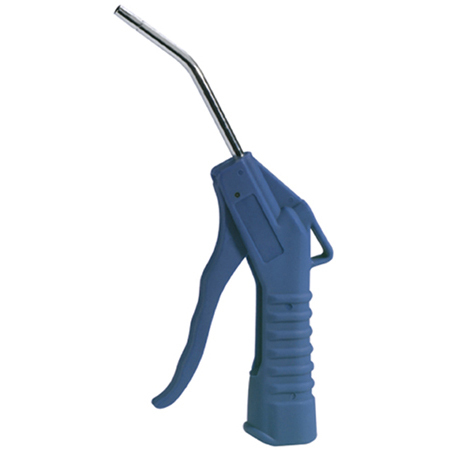 extended nozzle that easily fits into confined spaces. Features a comfortable, lightweight design. Weight: .34 lb Length: 5.75"